Eat nuts such as walnuts, pecans, almonds and various types of seeds (such as pumpkin and sunflower). These are packed with omega-3 and are crucial for your heart, brain, skin, modd and metabolism. 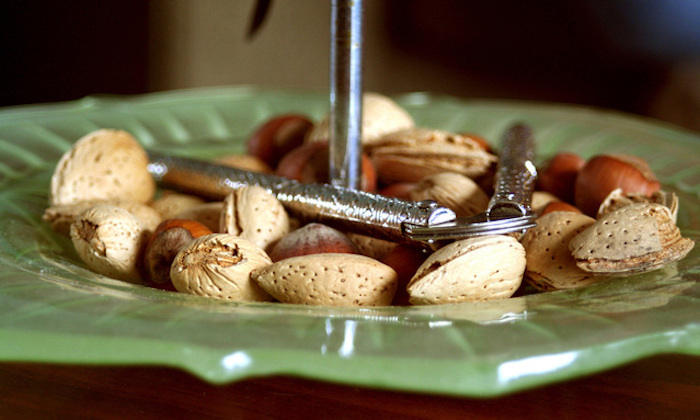 Nuts do contain fats, so limit to a one-ounce per serving! If you have trouble making chocolate curls, try using a large milk chocolate bar and shaving the curls with a vegetable peeler.